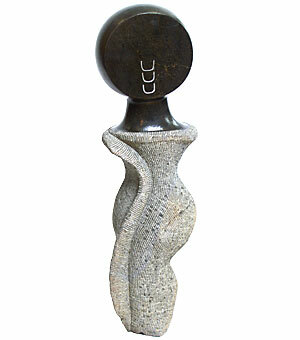 Our collection of stone sculptures constitutes a broad range of Zimbabwean sculpting styles. Our exhibitions provide a representative insight into the diverse work of the world-famous Tengenenge Art Community. This type of art was established on an international basis in Paris in 1971, with the first big exhibition outside of Africa, organised by the English art historian Frank McEwen, the first director of the National Gallery of Zimbabwe. Additional exhibitions of the sculptures from Tengenenge were held in New York (MoMa), Paris (Musée Rodin, Musée d'Art Moderne), London (Commonwealth Institute) and Frankfurt (Völ-kerkundemuseum), among many other venues.